Published on 30 September 2012. 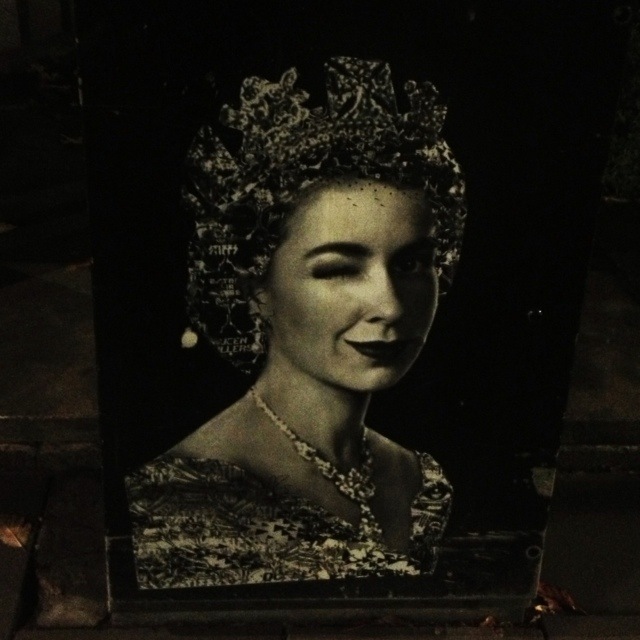 This picture of the Queen has been stuck on this black box on Gosforth High Street for months now. I’ve no idea where it came from. Is it a random bit of graffiti? Is it street art? Is it a leftover from some jubilee event? Who knows? This 1,830th post was filed under: Photo-a-day 2012, Gosforth, Newcastle-upon-Tyne, The Queen. Comment posted at 21:04 on 30th September 2012. Well, as it happens, The Developing Photographer has details of where this came from and where you can get your own copy.